Galápagos Vs Madagascar: both islands offer some of the most remarkable wildlife viewing in the world. But which island should you visit? Are you a lemur fan, or a seal lover? Read on to learn more about the Galápagos Islands and Madagascar to help guide the direction of your next voyage. You don’t have to be a biologist to appreciate one of the few places left on the planet where the human footprint is kept to a minimum. The Galápagos Islands; made famous by the writings of Charles Darwin, are open to all travellers to explore this unique ecosystem where animals rule the land, and visitors become the spectators. Located over 500 miles off the Ecuadorian mainland, the volcanic islands of the Galápagos harbour a diversity of indigenous plants and animal species unmatched anywhere else on the planet. What’s more, the volcanic islands themselves are equally (if not more) impressive than the endemic species that they host. Surrounded by warm turquoise waters, the backdrop of the islands are a true spectacle to behold. One of the most important things to consider for your trip to the Galápagos Islands is to keep conservation at the forefront of your mind; and to take nothing from the islands, except photos so you don’t disrupt the fragile ecosystem. It also pays to do your research and be conscious of how you travel through the islands. Is the local operator acting with the environment in mind? Is it a sustainable tourism operation? Are the guides conservationists or naturalists? By asking yourself these questions early on in the planning stage of your Galápagos adventure will help determine if it is the right destination for you and to ensure you are supporting sustainable tourism efforts. There’s nothing that compares to the diversity of wildlife in such a small place. Each island has it’s own unique charm and being so up and close to wild animals that you would never usually have the opportunity to interact with is priceless. This incredibly unusual iguana is the only marine lizard on Earth. It is believed to have evolved its marine lifestyle opting to eat seaweed instead of land vegetation (smart move, Iguana). 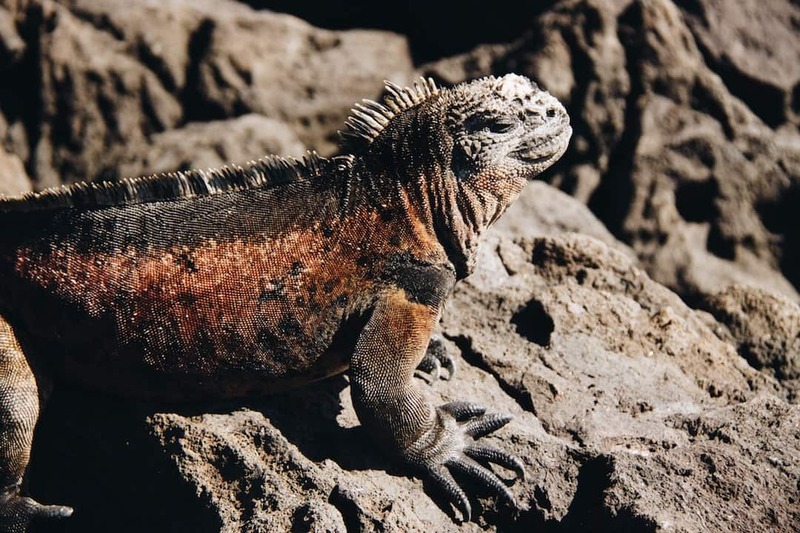 There may be as many as 300,000 marine iguanas lazing on the shores of the Galápagos Islands so you’re bound to cross paths with at least one or two on your journey. 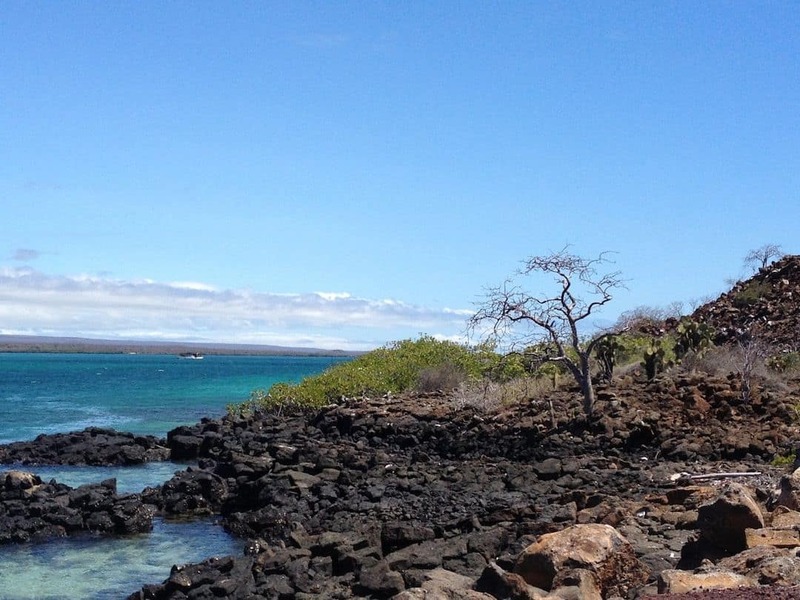 For iguana fanatics like me, touring the Galapagos is iguana heaven. Don’t ask me to pick my favorite iguana. The land iguanas are beautiful, golden and majestic like living dinosaurs. The marine iguanas have cute little snub faces so they can dive down, get close to rocks and chew off the algae. Otherwise known as the cutest animal in the whole wide world, they have tiny ears and spend most of their time on land. As the Galapagos has some of the best wildlife watching in the entire world, there’s no question animal encounters like swimming with sharks and getting up close to giant tortoises are the highlight for most visitors. However, I also appreciated how the government is doing its best to protect the fragile ecosystem by putting limits in place on the number of visitors. That meant we had entire islands all to ourselves some days, making it feel more like an expedition than your typical cruise. These little guys can be found nesting on the islands of Fernandina and Isabela where they thrive in the cold waters. It is also the only penguin in the world that lives north of the equator, and they are some of the speediest swimmers on the island. Found on the lowlands of Santa Cruz Island, the giant tortoise certainly moves at snail’s pace, but it outlives just about every other vertebrate on Earth, with an average lifespan of over 100 years. This served as an important clue for Darwin as he formulated his theory of natural selection (so they’re kind of a big deal). The funny name matches the funny appearance of this little creature with blue feet. If you’re lucky, they might even dance for you. 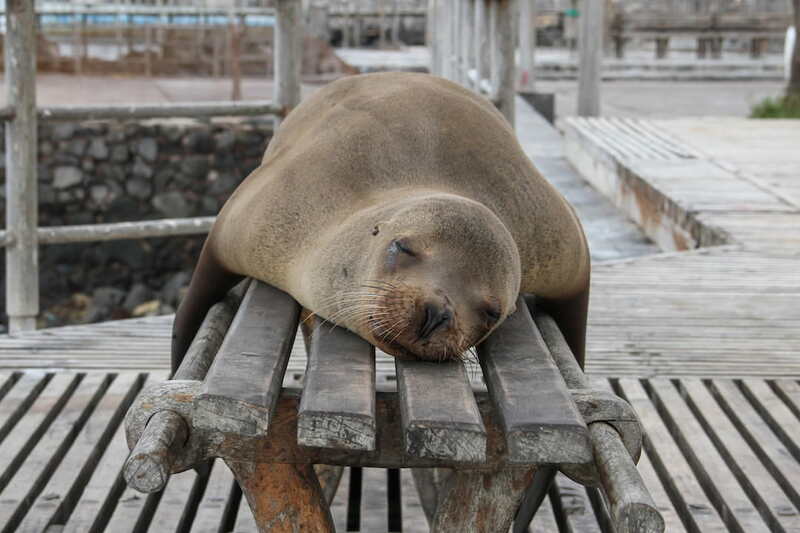 Being secluded and far from the main land was already a highlight per se, but being in complete contact with nature, and being able to be so close to the wildlife of the islands is something that makes the Galapagos unique. You don’t get to walk on the beach surrounded by sea lions or swim with penguins everyday, do you? There are just a few airlines that fly daily from Quito to Baltra and San Cristóbal. Tame, Avianca and LAN are the airlines that operate these routes. Unlike mainland Ecuador, the Galápagos Islands are considerably more expensive however you can certainly enjoy the islands on a budget. This, however, depends on your travel style (tour versus independent travel) or what type of activities you wish to partake in. Some travellers will find that $75 USD per day (staying at a budget guesthouse and eating inexpensive set lunches) will do. 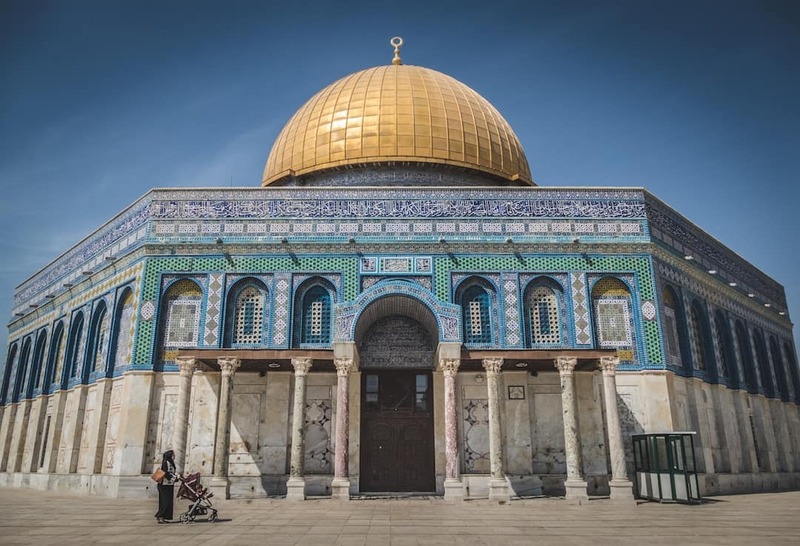 Others will find they will need at least $200 USD per day for more comfortable accommodation or to participate in many cycling, climbing or bird-watching short tours, for example. Taking inspiration from the mainland, you will find many tasty and fresh dishes across the islands. Sancocho de Pescado: A typical local soup that is made with fish and is served with a slice of corn on the cob. Ceviche: Perhaps one of the most famous dishes in the Galápagos Islands (and the most popular) offers fresh seafood and is covered in lime juice and onions. Almuerzo: For the meat-lovers, this is a traditional goat stew served with rice and a baked banana on the side. Cazuela: This seafood dish is served on a bed of plantain, peanuts and rice. Maybe the famous animated movie, Madagascar, was your very first introduction to the island that shares its name with the film. Or, maybe you’ve never really heard much about where to go, or what to see. 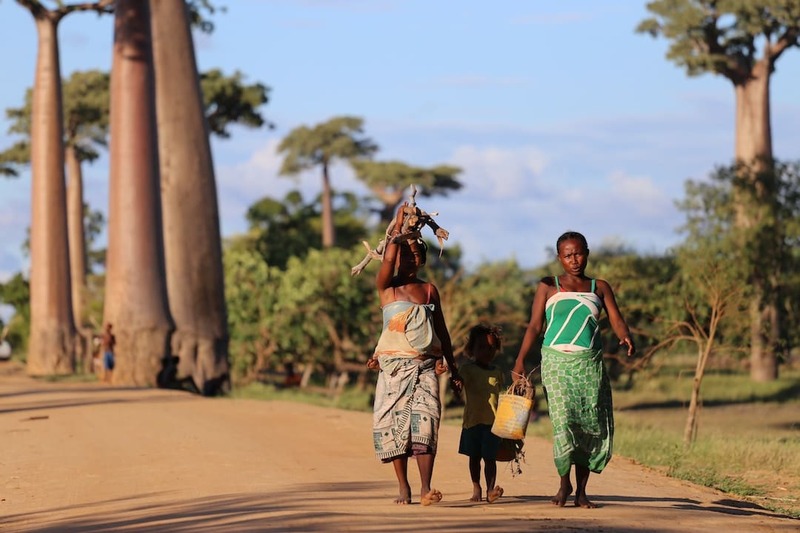 Whatever your knowledge of the island of Madagascar is, there is always something to learn. And that’s where we come in. 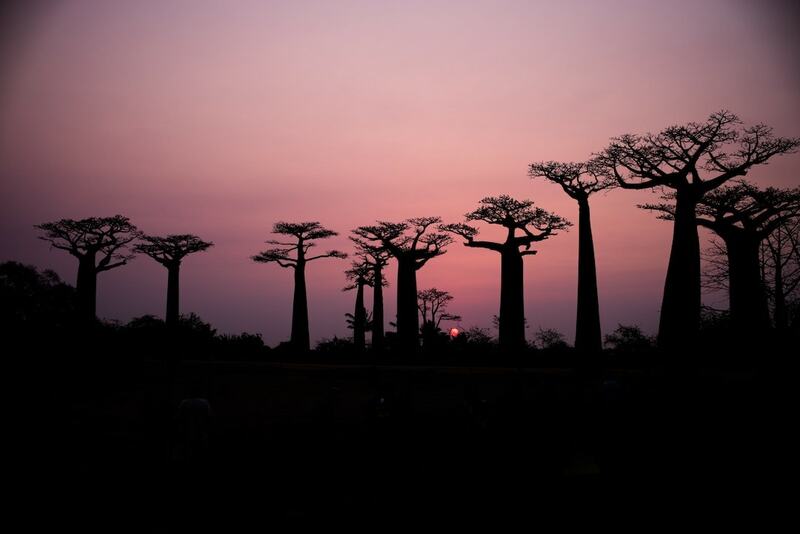 Madagascar is an island that sits off the coast of East Africa, and thanks to its geographic isolation mean that the majority of the species found on the island are endemic; meaning they cannot be found anywhere else in the world. Impressive, right? The quintessential animal that springs to mind might be the lemur but of course, there are many more crazy animals that call Madagascar home. As for the terrain of the island, you will find deep canyons, volcanic lakes, bizarre boab trees, lush hillsides, forests and limestone karts that sit along the 5,000 kilometres of idyllic coastline. Let’s talk about lemurs. Not just the one type, however, as there are over 50 species of lemurs on the island of Madagascar. You can find the Sifaka, Indri, Ring-Tailed Lemur and the Dwarf lemur as some of the many species that roam across the island. With a total population under 100, the Madagascar Pochard is possibly the rarest duck in the world. They are found only in the marshes and freshwater lakes of Madagascar and are in danger of soon becoming extinct. One of the unique birds of Madagascar is the blue coua and as the name suggests, they are known for their striking deep blue plumage. 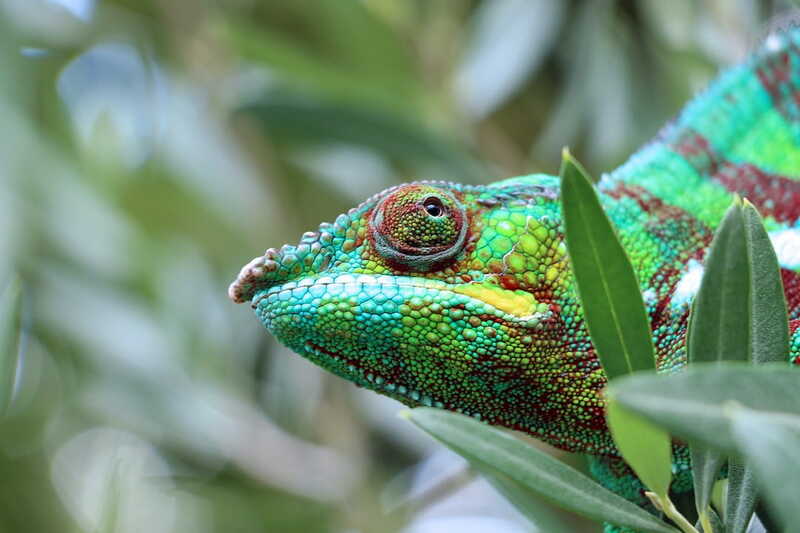 The beautiful panther chameleon is among the largest chameleons in the world. The skin colour ranges from orange, red, blue, dark green or blue-green with different stripes and spots. The male panther chameleons are more colourful than the females. The fossa is the largest carnivore found only in the forest of Madagascar. This mammal can reach 6 feet in length and weigh up to 10 kilograms. It also looks very similar to a mongoose. Aye-aye is a nocturnal primate living primarily on trees. Because of their bizarre appearance, they have been considered as a bad omen by the locals in Madagascar. They are also considered to be an endangered species in the country. I loved seeing the indigenous wildlife in Madagascar such as lemurs, fossa, Malagasy ring-tailed mongoose, Malagasy fish eagle and various chameleons – it really does make the country unique. Watching the magical sunset in Boabab Avenue was a breath-taking experience not to be missed! International flights arrive at Ivato airport, 20 kilometres north of Antananarivo (the capital of Madagascar). Air France, Air Mauritius and Kenya Airways are some of the few airlines that operate regular routes. There are also a number of private yachts that sail from South Africa, Mozambique or Mauritius. While it might be fairly expensive to reach Madagascar (given the isolated location), once you actually arrive on the island you will find it to be fairly inexpensive. 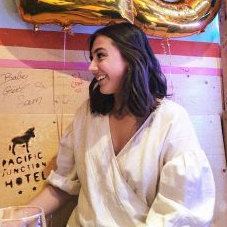 Depending on what type of accommodation you’re searching for, there are many budget rooms with shared facilities for around $10-15 USD per night. On the other hand, there is always the luxury resort-style accommodation that might blow your budget, however, the choice is up to you. Influenced by French, African, Indian and Arabic cultures, the cuisine in Madagascar is unique and flavourful. Lasary: A colourful chutney-style vegetable dish often served to accompany larger mains. Lasopy: A vegetable soup with local spices and served in a beef or veal broth. Koba: Looks like tuna, but is actually a sweet and delicious dessert made from mashed bananas, honey and peanuts. Romazava: Made up of leaves, spices and chunks of beef or pork and is found in most restaurants. Sesika: Not for those with a weak stomach, this is a chicken-based blood sausage seasoned with herbs and spices. Ranovola: This is a traditional beverage that tends to divide travellers and is made from burnt rice water. Which island will you visit next?